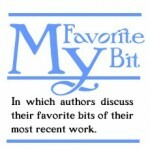 What is Ken’s favorite bit? 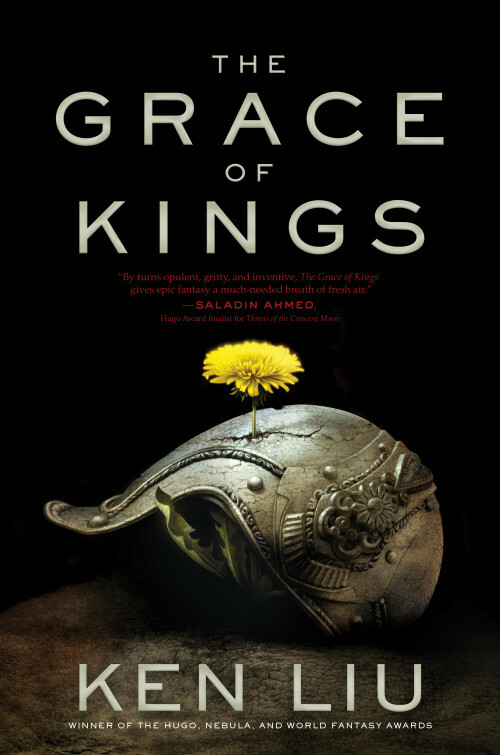 The Grace of Kings is an epic fantasy re-imagining of the rise of the Han Dynasty in a secondary world archipelago setting. It is the story of two unlikely friends, a prison-guard-turned-bandit and a disinherited heir of a duke, who join together to overthrow tyranny only to find themselves on opposite sides of a deadly rivalry over how to construct a more just society. The novel features a melding of classical Western epic narrative techniques with tropes taken from Chinese historical romances and wuxia fantasies. The “silkpunk” aesthetic employs many elements inspired by Chinese tradition that I’ve always wanted to see in epic fantasy: silk-draped airships, soaring battle kites, magical books that describe our desires better than we know them ourselves, gods who regret the deeds done in their names, women who plot and fight alongside men, princesses and maids who form lifelong friendships, and, of course, sea beasts that bring about tsunamis and storms but also guide soldiers safely to shores. However, The Grace of Kings began its life as The Chrysanthemum and the Dandelion, and that pair of flowers remains integral to the novel and my favorite bit. Though it might seem strange to create a novel about massive battles and collision of ideals around flowers, let me tell you a story about flowers and politics. In China of the late ninth century, A.D., the corrupt Tang Dynasty court lived in luxury while the populace suffered under a series of natural disasters and misrule. Huang Chao (“Huang” is the surname), the son of a wealthy salt-smuggling family, wrote the following poem after failing to place in the Imperial Examinations. Armor drowns the city in golden tide. Though the poem never mentions chrysanthemum by name, it is an ode to this bright-yellow flower that blooms in late autumn, after the Hundred Flowers have withered in the cold wind. But the poem also expressed much more than admiration for the strength of character of this proud, noble flower. The Tang Court favored the peony; praising the chrysanthemum was thus a political act. In 875 A.D., Huang began a rebellion against the hated Tang court. Five years later, his ragtag army managed to capture Chang’an, the Tang capital. Surviving historical records indicate that Huang’s men slaughtered and preyed upon civilians indiscriminately. Ultimately, his rebellion—though it would accelerate the fall of the Tang Dynasty—failed, and he was betrayed by his followers and killed. The fall of The Tang Dynasty ushered in a time of divisions and foreign invasions, leading to more misery for the people. Huang’s poem has always been controversial, as is his place in history. Plenty of Confucian scholars condemned both Huang’s poem and rebellion, while Chairman Mao was supposed to have admired the poem (though not Huang’s tactics). Was he a hero or a villain? A recurrent theme in historiography (and in Chinese historiography in particular) is that the judgment of history may not be final even a thousand years later. Huang’s poem is also featured in Curse of the Golden Flower, a luscious 2006 film directed by Zhang Yimou starring the inimitable Chow Yun-Fat and Gong Li. Knowing something about the politically laden history of the poem at its center might add a level of depth to a film that otherwise seems slight. As I conceived of my novel, this history of using flowers to speak the language of revolution kept on resurfacing in my mind, and I made floral metaphors a central part of the narrative. In one of the key early scenes, several of the main characters play a drinking game in which they compare themselves to different flowers, and the other participants judge the aptness of the comparison. Proud, noble Mata Zyndu (the duke) compares himself to the chrysanthemum, the king of flowers, by reciting a modified version of Huang Chao’s poem. The lush image of blooming chrysanthemums filling the city like an army in golden armor (“A tempest of gold, an aureal tide.”) hints at his inner desire for glory and honor, for poetry and gleaming splendor. This is a defiant flower that laughs in the face of winter, and one that will not yield to overwhelming odds even unto death. Wily, practical Kuni Garu (the bandit), on the other hand, compares himself to the lowly dandelion, a weed distinguished by being hard to kill and willing to blossom in the most obscure nooks and crannies of the urban landscape. This is a versatile flower that has many uses in the recipes and herbal medicine lore of the poor, and whose seeds will journey far and wide. His homely comparison at first shocks his followers, and only with time would his true meaning be understood. Yet, there is something unsettling about this pair of flowers, for the dandelion, when viewed a certain way, resembles a small chrysanthemum. Just which flower better represents honor and virtue, and which is the more endearing? Even at the end of the novel, I hope the answer is not as clear-cut as one might imagine at first glance, for the true judgment of history is revealed only in long shadows cast down the centuries. Besides Ken’s debut novel, The Grace of Kings, Saga Press will also publish a collection of his short stories, The Paper Menagerie and Other Stories, later in the year.